Lanka Kade's wooden princess puzzle. This fair trade jigsaw is beautifully handcrafted from natural rubber wood. 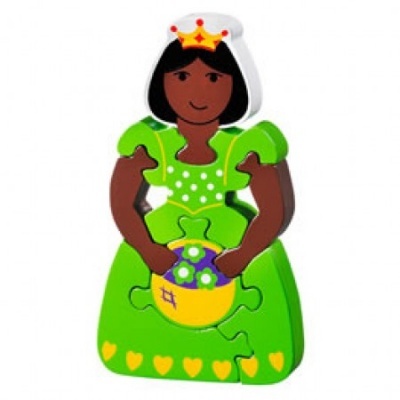 Lanka Kade's princess Lola jigsaw. This 7 piece puzzle is ideal for developing problem solving and shape recognition skills. A fair trade toy made from sustainable rubber wood.